CVMIC is pleased to announce the addition of the Below 100 Program to our online course catalog. The Below 100 Program is designed to drastically reduce law enforcement line of duty deaths. It specifically addresses the operational areas of law enforcement that contribute to the greatest number of line of duty deaths, but are in large part preventable. The first course in the program provides an overview and discusses each of the five Tenets. There is then a course specific to each Tenet. You must enroll in each offering separately. For a complete listing of courses, log in to the Learning Link and click on the “Home” tab. Then click into the “Police” catalog. 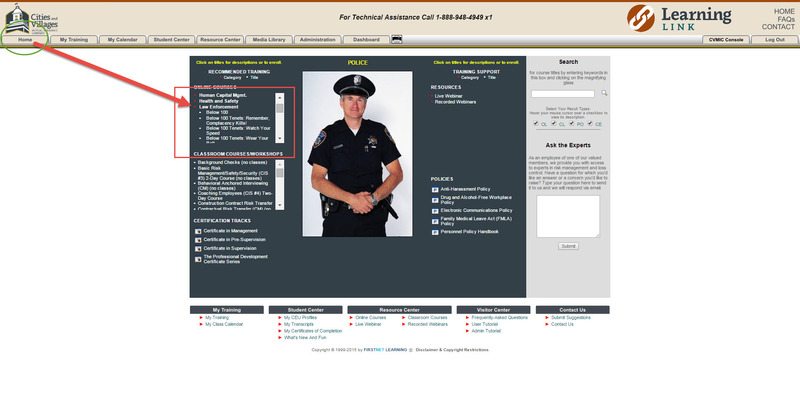 Under “Online Courses” click on “Law Enforcement”. Cities and Villages Mutual Insurance Company (CVMIC) strives to offer our entire training calendar, but sometimes unforeseen circumstances require cancellation of a meeting or training program.